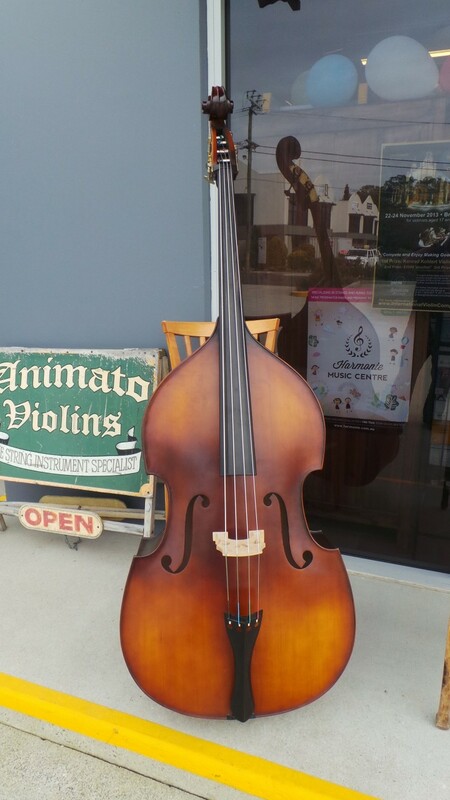 The Capriccio Bass looks like the Arco from the outside. It is hand-made, and the top plate is hand-carved from solid timbers. Basck and sides are laminated. It comes with an ebony finger board. Included are a good bow, Nyman rosin and a padded bag.